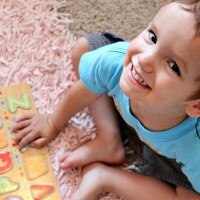 Why do you need lesson plans in Preschool? For me, they keep us headed toward a goal and make sure that we are actively teaching our children the things we think they should know. Now you might be asking, what kind of goals and where do I start? This post contains affiliate links. For more information read my full disclosure. The first thing I like to do with my preschoolers is to establish a routine. This helps my children transition from one activity to the next and teaches them independence. It also allows us to cover the most material possible. My children know what to expect and that results in a more peaceful homeschool day. 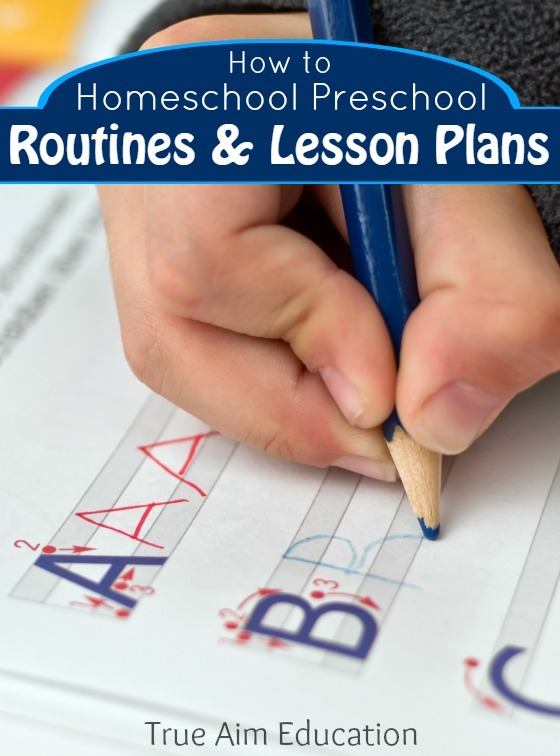 As for goal setting, it all depends on your homeschool philosophy and teaching style, but you can see some of our goals for what to teach in preschool here. To introduce your new routine, you’ll want to start slow and gradually add more activities. Usually, I do one thing consistently for a week and then add 1 or 2 more the next week and so on. Keep in mind that often, when it comes to learning, less is more. You could teach on the same thing for an hour but your children may tune out after the first half. Keep lessons short, simple, and review constantly. You may even want to break up your school day to 2 30 min – 1 hour sessions. I consider the most important subject to be Character Development and Biblical Studies, so I cover those everyday. After that, reading, writing and math are our focus. Everything else is extra and I like to vary those throughout the week so each day has an exciting element to it. As you start working through your lessons, you’ll quickly learn what subjects your preschooler loves, and which ones they don’t. Schedule your routine accordingly. If they LOVE story time, save that for the end. If they struggle with writing, do that first. Whatever you teach first is usually what your children will retain the most. This is how most days go and it works really well for our family. If your children fight the routine, you may need to back off and give them more free time at first or use a kitchen timer. The kitchen timer helps take the command of transition and staying on task off of you and onto the timer. Don’t forget to reward your children for their work and keeping their routine. This could mean rewarding them after every subject, day, or goal accomplished. 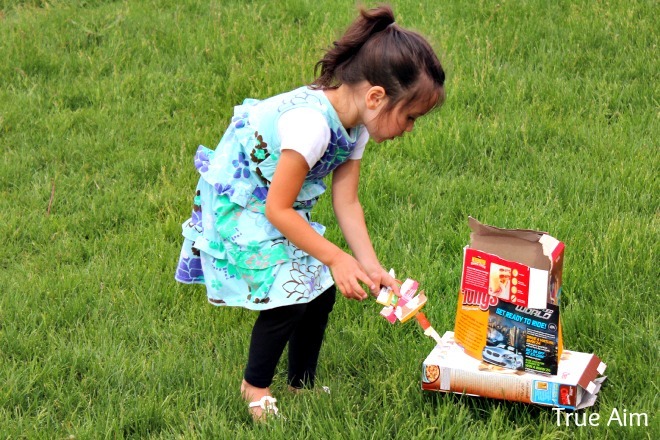 Even if you are taking an ‘unschooling’ approach, you may still want to have a simple routine with bigger blocks and more freedom or have your children make up their own routine. 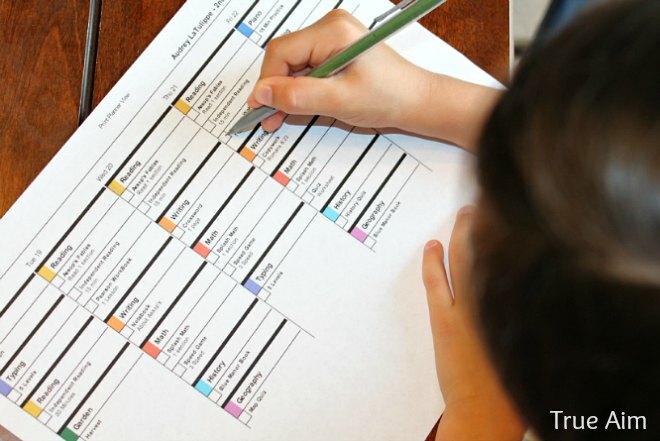 All children will benefit from some sort of organization to their day so when they become adults they have skills in time management, planning and goal setting. I plan my lessons each month because I like my children to set the pace. Sometimes they will be determined to finish certain projects and books. 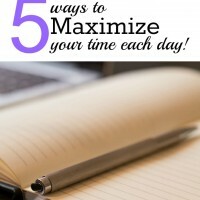 Other times, they only want to do the minimum, or need extra time on a certain subject. We also homeschool year round and take extra long breaks for sickness, holidays, and family visits. 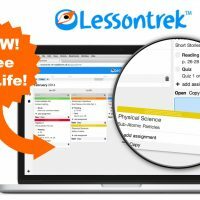 To help me plan my lessons and keep track of what we need to cover and what we’ve accomplished, I use Lessontrek. It is so simple to use and has a great layout for printing. Instead of spending days or weeks, with my simple routine and this lesson planning tool, I can create all my lesson plans for the month in about 15 minutes! Lessontrek goes perfectly with my Christian Preschool Curriculum. You can match the colors of our eBooks to the colors in the Lessontrek online planner. Watch the video below to see how I plan out my whole month. 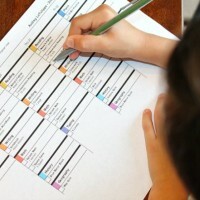 I’d love to hear how you plan your preschool days. Do you use a curriculum or just play it by ear? For more posts in this series, click the image below! Home schooling of kids is not really easy. I tried it with my niece and never worked out due to many factors. This is fantastic post! I’m just landed on this post and am so overwhelmed by the tips. This looks so cohesive and do-able! I look forward to reading through all of your posts. Thank you!!! Thanks! 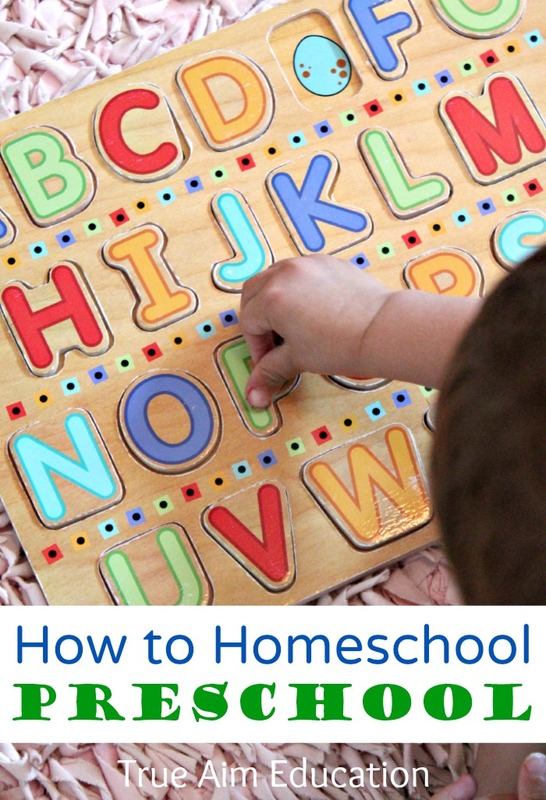 A little preparation can take away a lot of stress of homeschooling. I am sure that with these tips anyone can relax and enjoy the year!